My name is Charlotte and I’m a young birder and enjoy birding, so I decided in late 2010 I should start a blog to record and write about my sightings. I live on the prairies in Alberta, Canada, where I couldn’t be happier, with a big open sky, prairie, and lots of open water. I live on a farm with many animals — rabbits, chickens, beef cattle, horses, and a dog (who sometimes comes birding with me) — and many varieties of birds, including Western Meadowlarks, Mountain Bluebirds, Ruby-throated Hummingbirds, Cinnamon Teals, Sprague’s Pipits, Le Conte’s Sparrows, and Yellow-headed Blackbirds. However, I’ve also birded on the island on Nevis in the West Indies, in New York City, both places where my late grandparents used to live, and in Washington, DC. And in August 2012 I was selected to be part of the Young Ornithologists’ Workshop at the Long Point Bird Observatory in Ontario. In April 2013, I helped the Edmonton Nature Club with the Young Naturalists’ Corner at the Snow Goose Chase in Tofield, Alberta. And in August 2013, I was back at the Long Point Bird Observatory for a four-week Young Ornithologists’ Internship, helping with migration monitoring, and my own research project, a Monarch Butterfly census. In the summer of 2012, I started the Facebook group “Alberta Birds”, for birders to post photographs (and videos) of, questions about, and just generally discuss, the birds in this province. If you bird in Alberta, or plan to bird here on a visit, or would just like to see the wonderful avian species we have in our province, please come join us! I’m starting grade 12 this fall, and my favorite subjects are history and natural history/science. This year, I’m also finishing the last three chapters in the Cornell Lab of Ornithology’s home study course in bird biology. I really enjoy your blog posts, and thought you might want to meet another young birding blogger. 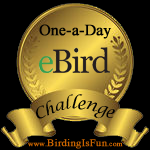 Have a look at http://birdkidblog.wordpress.com/ and read about birds in the eastern USA! Thank you very much Pat. I will be sure to check that blog. Great job on the blog, good to read. I have added both of those links to my blog. Thanks for the links. I have stumbled upon your blog and have seen some of your quilling! It looks great! I have been quilling for about 8 years on and off and am going to be teaching courses again. I am currently making examples of what each of the courses will be on, but it is also for meeting other quillers of Alberta. It would be great to see more of your work!! I’ve read a few of your articles and I am looking forward to reading more. I especially like your “5 Great Gifts for Birders” as so many of my friends are either birders or bird photographers. Plus I learned about quilling too! Thanks so much, Mia, your photographs are terrific! What a delightful site. Thanks. Really enjoy your blog – amazing that you have started with so much so early in your life – my dad who started my brothers and me birding would have admired your enthusiasm and your writing and photography skills. Well done. And I heard that CBC program as well… fascinating what we can learn as Canadians spread across this country – I live in central Ontario in a mix of farm and tourist country and am so pleased to have discovered you! I glad you like my blog Barbara and thank you for the kind words. What? You are only in grade Nine? Oh my word! Good for you! Since you live in Alberta I am wondering if you have read or know about the book, Mrs. Mike? It is one of my favorites and it takes place in your province around 1910! No, I have not read Mrs. Mike but I will put it on my “to read” list, thank you very much for the recommendation, Kathie. Good job, its encouraging to see the younger generation taking an interest in our wildlife. Do you have any information on the tours to the sage grouse leks down Manyberries way? Amazing work! You have a wonderful blog!. I live partly in Cley next the Sea in North Norfolk, England, a true birdwatchers paradise. Great blog and amazing photos! Love your blog Charlotte! Great work! Hi Charlotte, the red poll brought me to your blog. I’m an artist, an birds have bee my subject many times. I live in Devon AB, have your heard of mountain blue birds around here anywhere. I got our Public Library to buy a book about them, they are so beautiful. There are a few members from the Devon area, so maybe they could be of some assistance with your search for Mountain Bluebirds. If you are near the ellis Bird Farm, I think you may see bluebirds there. I am not sure if there is a bluebird trail at Ellis Bird Farm but they will know where the closest to you is located. Your passion for birding and all things birding is brilliant. A great example of a young person making a difference. Thanks for checking out my UK blog. Alberta and Saskatchewan are on my radar this year. Thank you, John! I really enjoy your blog as well. I found a baby bird in his shell today on the sidewalk and followed wildlife rescue’s instructions to take him to a 24 hour vet clinic, just wondering if I were to send you a picture of him in his shell if you might know what kind of bird he is? I really enjoy reading your blog and all the good information it provides. Also enjoy your photography. Just wanted to formally say thanks for your efforts. Great to have young people so informed and involved in conserving our natural resources. You’re my window into Canada, so keep it up! It would be wonderful if you could get a CBC circle started in the Irma area. If you need some assistance getting one started, I can help you out. Happy birding in 2016! One more Bravo to you. 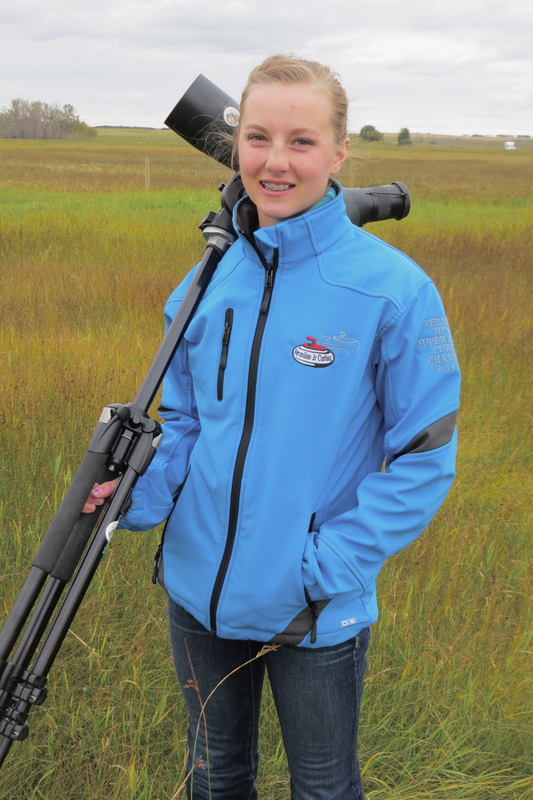 I just discovered your site (linked in from the Calgary bird site) and am extremely impressed with your drive a accomplishments a a young birder. You are another super example of our youth. I admire you interest and success. Go girl go! Miss Charlotte, I am so impressed with your blog. I follow the Birds Calgary site and found you link there. Your enthusiasm and passion for birding (I got the same sickness some 50+++ years ago) is so refreshing to me. I can just see the sparkle in your eyes and excitement in your voice when you see an old and uncommon friend (Cinamon Teal? Sora Rail? or Haliquin Duck). Ok my imagination is working overtime. I will be following your travels and discoveries through your blog. ps Good luck on your semester Exams (if you have any). Charlotte great to meet you on here and I loved reading your ABA article that we were both featured in. You are a strong young woman and talented birder! You give me hope for future generations of young birders!